Our customers agree: Infinity is the most advanced, proven, and readily deployable toll collection system available in the marketplace. TransCore toll systems are designed to maximize revenue collection for our customers through highly accurate products and efficient operations. In an ever-changing industry, these foundational tenets are a leading reason why TransCore systems remain the preferred revenue collection and management technology of toll agencies. Today, 11 of the 15 largest toll agencies in the United States utilize TransCore toll collection systems for every type of tolling operation: cash, ticket-based, mixed-mode, open-road, all-electronic and express lanes. The Infinity Digital Lane System features a blade-based, fully redundant lane server architecture. Infinity delivers the reliability and durability agencies desire in today’s toll system thanks to its modular, highly configurable, fully redundant, and infinitely upgradable design. Simple commercial-off-the-shelf hardware upgrades and software enhancements that are available at no additional cost extends the life of an Infinity system well beyond the lifespan of any competing technology. High-resolution, stereoscopic, fully redundant color license plate capture system. 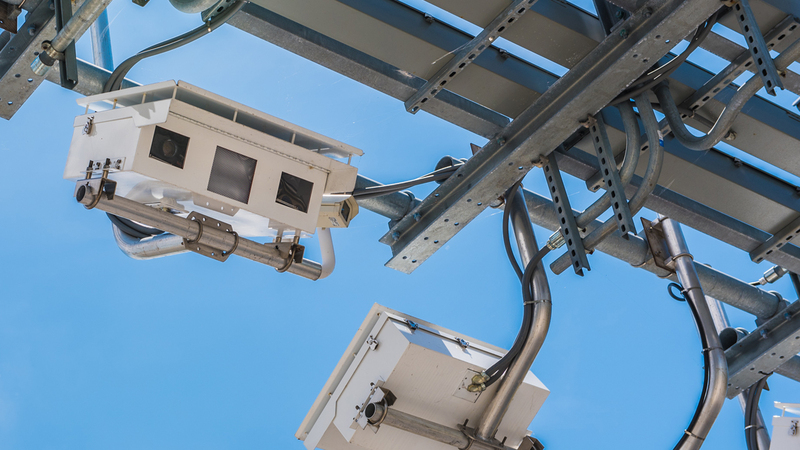 A single Vehicle Capture and Recognition System (VCARS) unit includes fully redundant hardware components and cameras that provide overlapping fields of view, resulting in improved overall system accuracy and revenue capture. The Plate Processing SystemTM (PPS) then uses all available VCARS images from different viewing angles to provide a more accurate final optical character recognition (OCR) result for each captured license plate. 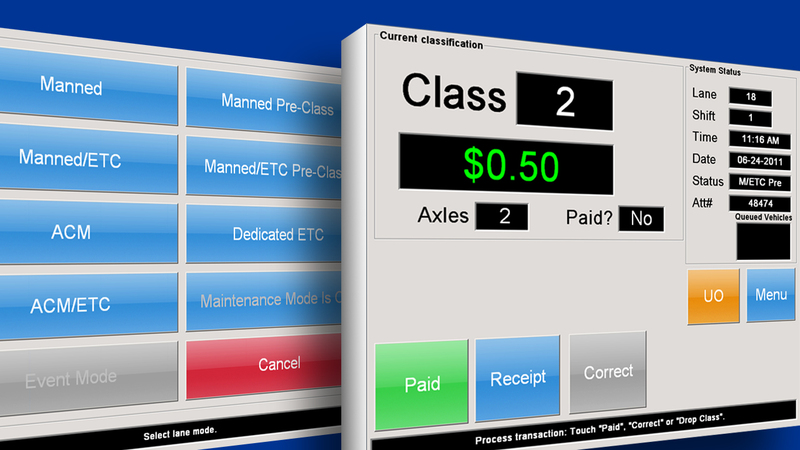 The Toll Management Console allows users to monitor complete toll system operations in real-time. 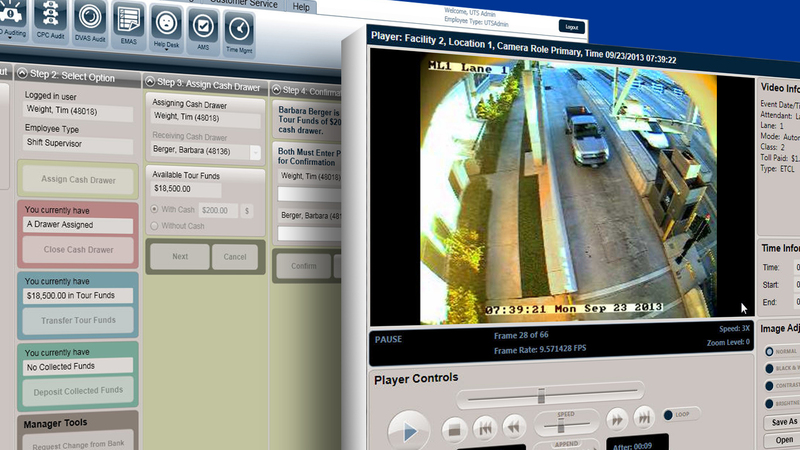 A user-friendly, real-time interface provides agencies the ability to monitor every aspect of its toll operations – from the current performance of all facilities to individual transaction details, facility access and control, employee activities, cash management and handling, reporting, work order status, system alerts, and real time system health. A fully integrated Digital Video Auditing System (DVAS) is accessible through the Toll Management Console, which enables auditors to efficiently audit the details of every transaction captured by the system. An all-digital, axle-based, in-pavement vehicle classification system. The Intelligent Vehicle Identification SystemTM (IVIS) is an all-digital, axle-based vehicle classification system with no moving parts or maintenance burden seen from treadle-based systems. 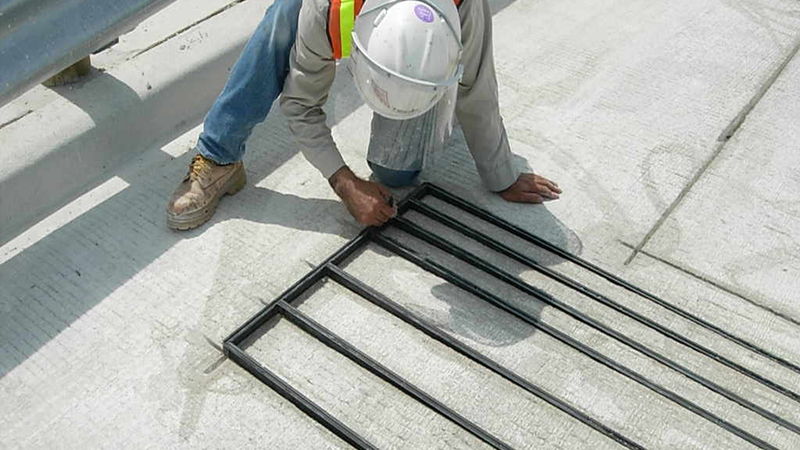 IVIS utilizes pre-formed smart sensors that install more rapidly and reliably in roadway surfaces while also removing the potential for human error when installing hand-wound classification systems. As a result, IVIS reliably outperforms all other vehicle detection and classification systems in the toll industry. An all-digital, profile-based, overhead vehicle classification system. 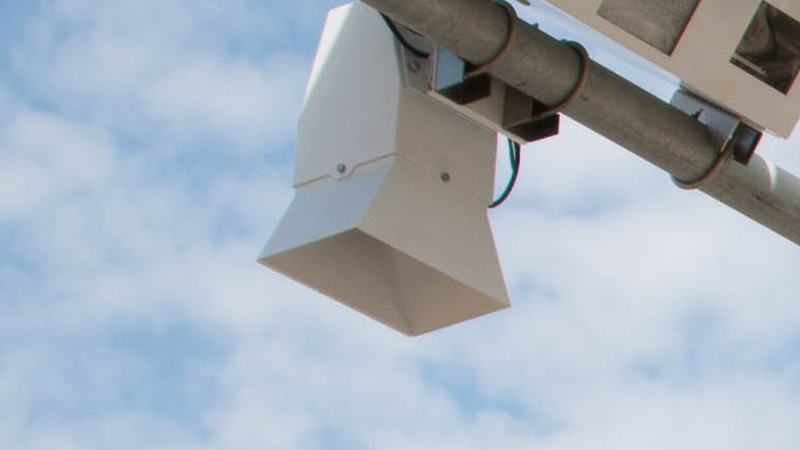 The Optical Profile Unifying System TM (OPUS) is an overhead vehicle profiling sensor subsystem that provides fully redundant and supplementary support to IVIS, further enhancing overall system accuracy and performance. Unique from other industry technologies, OPUS features no moving parts, which significantly reduces ongoing operations and maintenance needs. Cash management and operational tools to manage all cash handling, employee and lane activities. Cash Management system includes tools to assign and manage tour funds, collected funds, deposits and toll attendant activity in the lane. Cash lanes include easy to use touch-screen terminals to process cash and electronic transactions, flag non-payment unusual occurrences and system alerts. Cash mode lanes include the Traffic Control Pedestal (TCP) that houses traffic control and patron fare display devices, and violation enforcement and audit cameras into a single, integrated pedestal for cash-based operations.